Ready or not, here he comes! Santa returns to Kent on Saturday, Nov. 26. Families are invited to join the fun starting at 10 AM to welcome Santa home for the holiday season. Santa is set to arrive at 11 AM. Enjoy holiday music by the Kent-Meridian High School choir and visit the Kent Police Department who will have a booth set up near the fountain. The Kent Station Santa house is open from November 26th through December 23rd with limited hours the first few weeks. Santa photos range in price from $20 for a 5×7 to a full package for $45. Details and Santa house hours are online at KentStation.com. Families who come early can enjoy special discounts. 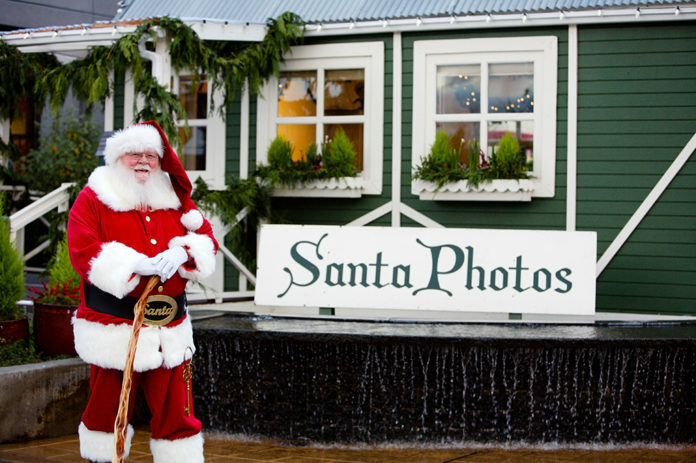 Visit Santa on a week day during the first two weeks and choose either 10% off or a free downloadable image with a print package. Take some stress off the holiday season by enjoying a discount and visiting Santa early! The Santa house is sponsored in part by Kigo Kitchen, Kent Station’s newest restaurant. Every family that comes to the Santa house will receive a coupon from Kigo Kitchen. After meeting Santa, stop by the Giving Tree to pick some tags and purchase gifts for families in need this holiday season. The Kent Station Giving Tree benefits Communities In Schools of Kent. Unwrapped gifts can be returned in the big red box located outside the Santa house by December 23. 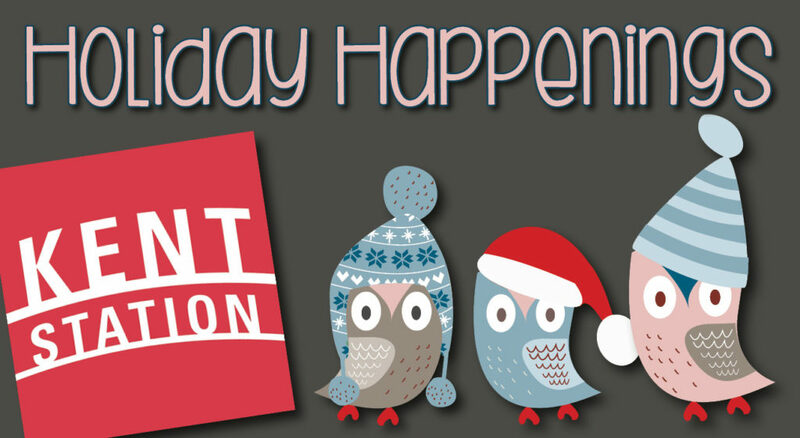 Visit KentStation.com for details regarding extended shopping hours, special offers from Kent Station merchants and more. Click here for more information about Santa Photos, and click here for extended holiday shopping hours.